Sun City Festival, with breathtaking views of the White Tank Mountains and the Estrella Mountains, is located about 25 miles west of downtown Phoenix. Sun City Festival is an exciting new community for active adults age 55 and better. You’ll be able to focus on your health, wellness, and personal enrichment in new and exciting ways. 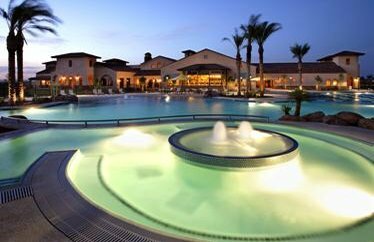 From recreation centers to pools, clubs and classes, a championship golf course, and the unprecedented ASU Lifelong Learning Academy, this 3,100 acre community offers everything under the sun. The Sage Center features two craft rooms: one for pottery with an adjacent kiln; the other is a craft room for sewing, quilting, scrapbooking, and more.